Official Pink Jeep Tours Toy. 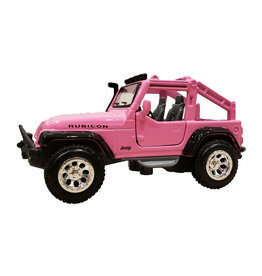 Our iconic custom pink Jeep Wrangler Rubicon toy is four wheeling fun for everyone. Pull-back powered 4.5 inch die-cast jeep by Maisto. Comes in full-color window box.